The OrthoCor™ Active System™ utilizes specialized Pulsed Electromagnetic Field (PEMF) technology – clinically proven to reduce pain, swelling, and provide lasting relief without the use of pain medication or invasive procedures. 1) F.R. 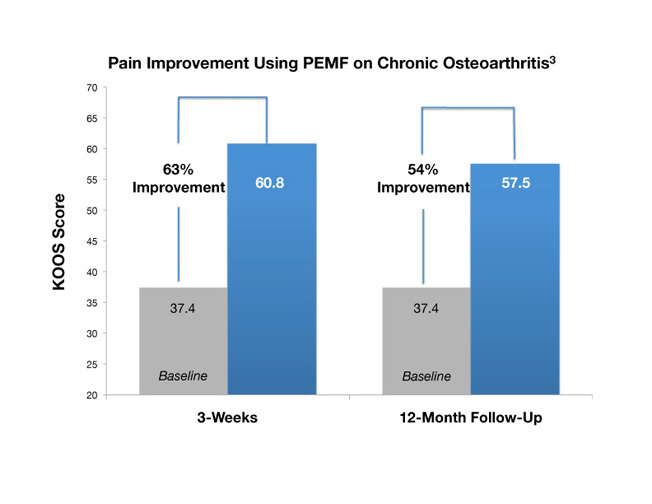 Nelson, R. Zvirgulis, A.A. Pilla, “Non-invasive electromagnetic field therapy produces rapid and substantial pain reduction in early knee osteoarthritis: a randomized double-blind pilot study,” Rheumatology International, March 2012. 2) Rohde, “Effects of Pulsed Electromagnetic Fields on Interleukin-1 and Postoperative Pain: A Double-Blind, Placebo-Controlled, Pilot Study in Breast Reduction Patients,” Am Soc of Plas Surg, vol. 125, pp. 1620-1629, 2010. 3) T.Y. 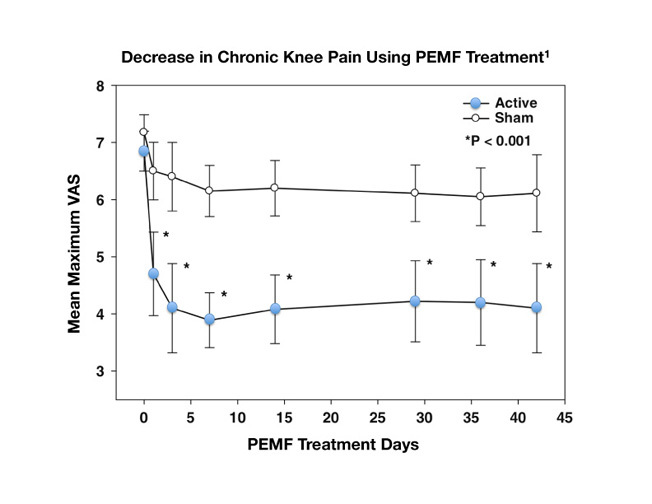 Fukuda, “Pulsed Shortwave Treatment in Women With Knee Osteoarthritis: A Multicenter, Randomized, Placebo-Controlled Clinical Trial,” Phys Therap, vol. 91, pp. 1009-1017, 2011. 4) A.A. Pilla, “State of the Art in Electromagnetic Therapeutics: Soft Tissue Applications,” Electricity and Magnetism in Biology and Medicine, F Ber-sani, ed., Plenum, NY, 1999, pp. 871-874.